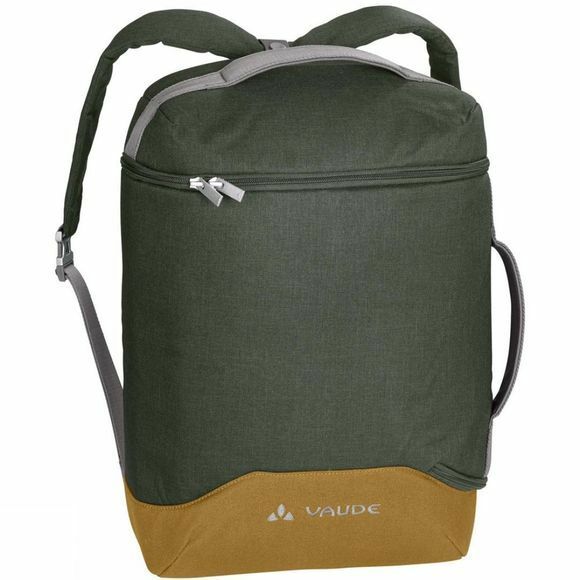 The Confederate Rucksack from Vaude cleverly combines a backpack, shoulder bag and messenger bag into one product. Different options for carrying give you full flexibility for urban undertakings, making this bag from our think tank not only extremely versatile, but also extremely sustainable – and not just thanks to its sustainable materials. After all, you just need this one bag. Three padded inner compartments are perfect when you want to take along your laptop (15.6”), a tablet and some writing materials as well; an inner pocket made from stretchy mesh materials keeps your cable, phone and other smaller items at hand; pen compartment, key compartment and a lid compartment for other small items ensure perfect organization. The icing on the cake: everything can be accessed from the top (in backpack mode) or from the side. 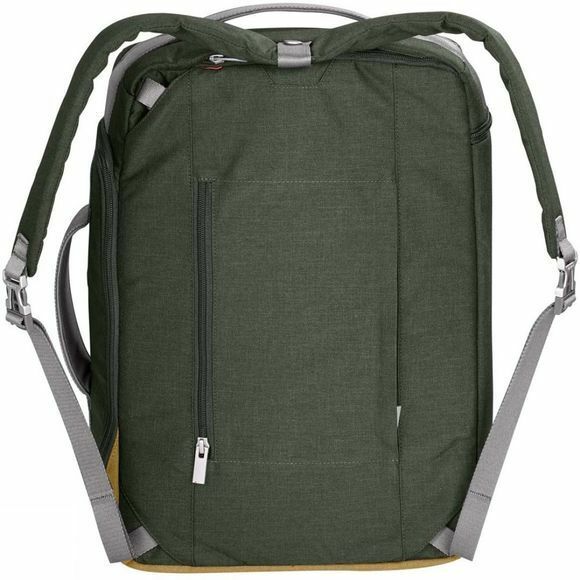 On the back there’s another compartment that has a zip on both sides so it can functional as an extension for your wheeled luggage. Summary: if you've got the Confederate, you don't need anything else!